Stanley Nelson’s work is known for examining the history and experiences of African Americans. His most notable films are The Black Panthers: Vanguard of the Revolution, Freedom Riders, Freedom Summer, Wounded Knee, Jonestown: The Life & Death of People’s Temple, and The Murder of Emmett Till. His latest film, Tell Them We Are Rising: The Story of Black Colleges and Universities, premiered at Sundance, making it his ninth festival premiere, more than any other nonfiction filmmaker. With multiple industry awards, a National Humanities medal and MacArthur “genius” award to his credit, Nelson is acknowledged as one of the premier documentary filmmakers working today. His company, Firelight Media is a non-profit production company, which provides technical education and professional support to emerging documentarians and expands the reach and impact of nonfiction film. A haven for Black intellectuals, artists and revolutionaries—and path of promise toward the American dream—Black colleges and universities have educated the architects of freedom movements and cultivated leaders in every field. They have been unapologetically Black for 150 years. For the first time ever, their story is told. 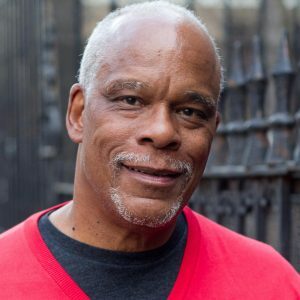 Directed by award-winning documentary filmmaker Stanley Nelson, Tell Them We Are Rising: The Story of Black Colleges and Universities examines the impact HBCUs have had on American history, culture, and national identity. Tell Them We Are Rising: The Story of Black Colleges and Universities will air nationally on the acclaimed PBS series, Independent Lens in early 2018.